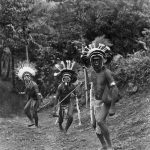 The collection documents the life and work of Francis Edgar Williams (1893–1943) who served as a government anthropologist in the then Australian Territory of Papua from 1922 until his death. The collection of some 2,000 glass plate and celluloid negatives and prints is dispersed among three custodians. 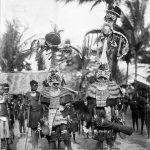 Its significance lies in its depiction of Australia’s role in administering Papua at the time, and in its capturing of the experience of “first contact” with a culture that was scarcely known to the Western world. 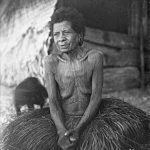 The photographs reveal the customs, behaviours and lives of the Papuan subjects, covering 18 different ethnographic locations over a time span of nearly 20 years. now contact with the wider world would bring immense changes. Williams had a strong respect for the role of traditional customary life in ensuring the well-being of the Papuan people. He felt very at ease with his subjects, as they did with him, to which some of his candid shots testify.